Our two Baltimore pie shops are located right in the heart of Canton Square and on The Avenue in Hampden. In addition to the best pie around, our shops offer a very unique pie bar, free Wi-Fi and always the best music Baltimore has to offer. Dangerously Delicious offers a full line of sweet and savory pies along with quiches available for dine in, carryout or delivery. We serve Baltimore’s own Zeke's coffee, a variety of specialty drinks & teas, ice-cold milk and ice cream. Dangerously Delicious even offers catering and shipping! Rodney grew up spending summers with Grandma Henry in Pike Township, Marion County, Indiana where she schooled him in being a mean baker. While on the road with The Glenmont Popes, Rodney slung slices and hocked pies at his merchandise table, in shows parking lots and even traded pie for lodging so the band could tour, and thus, PIE AND ROCK AND ROLL was born! 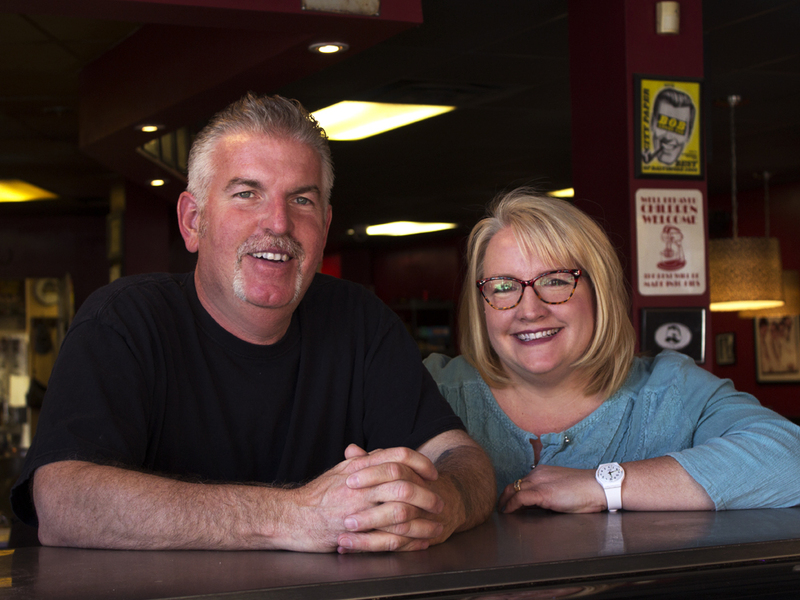 In January 2012, John and Mary decided to take an enormous leap of faith and left their careers to buy Dangerously Delicious Pies Canton. With the support of their family and friends, they quickly learned what it takes to run a small business. With a quality product and the drive to grow the business, John and Mary knew they could work together to continue making Dangerously Delicious Pies a Baltimore staple. In May of 2015, they opened their second location on the Avenue in Hampden. They love the time with their dedicated staff and loyal customers.